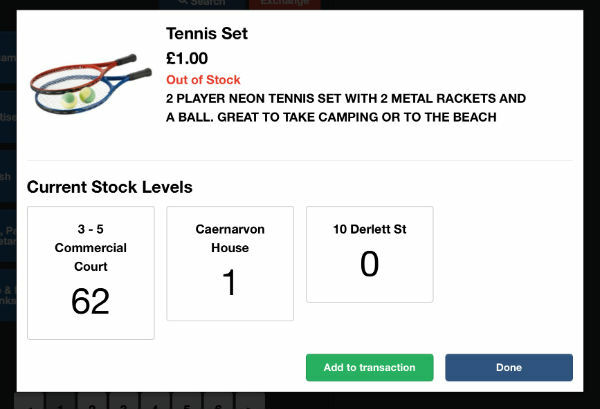 How to look up an item on the AirPOS POS application and check what stock you hold of that item. Click the ‘Stock Check’ button along the top Navigation. When clicked, a window will pop up with a search bar. In the search bar, either enter a complete product name, partial product name (which will begin to autofill), scan product barcodes or select the product from the categories. Then click the item. You should now see the product you were looking for, how many you have in stock and where they are in stock.